I have been waiting to take a break (from studies) and post this card which I made a few days ago. It is for Moxie Fab World’s The Washi Tape Challenge. I love washi tape, and I have collected quite a number of them, but I never seem to be able to use them in a creative way. So when I saw the challenge at Moxie Fab (which was quite some time ago) I decided that it was time to think hard and make something creative. As Cath always mentions, I like it when a card, with all it’s elements mean something. For washi tape, I wanted to use it in a way that shows it’s characteristics, in a way that only washi tape can be used to get the same result. My options were: 1.using it as tape (to stick something) 2. overlap it onto each other or on other paper 3. tape over stamped image. I think what helped the idea a bit was that I had already decided on the sentiment, so, place—>home—>and hence the row of houses. I Google searched “house outline”, took some free images, lined them up in MS Word and printed it out. After that I simply placed the washi tapes side by side and trimmed out the image. I saved the file, so it would be easy to reproduce! The sentiments are from Hero Arts/Studio Calico HeyDay sentiment. I stamped the part “you are” from one of the stamps in Versamark and white embossed it on the black strip of paper. The other sentiment (which came in a banner) was embossed in black. Before I forget, I wanted to point out two AMAZING cards that I spotted among the entries. I haven’t checked them all out, so I am sure there are more amazing ones. But the reason I wanted to point them out is because Pamela and Michelle used washi tape like I mentioned in #2. 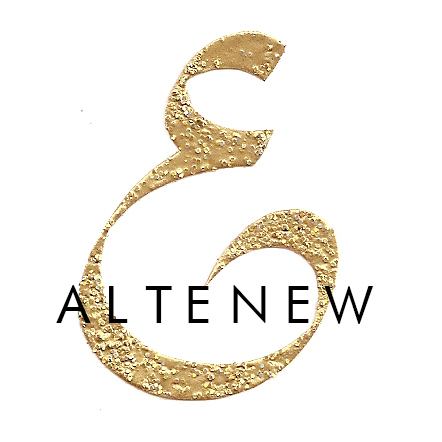 You should definitely check them out! This is indeed such creative use of the washi tape Tasnim, great design, love the sentiment to go with it too!! This = genius. What a *fabulous* idea, and so perfectly executed!! Love it Tasnim!! So glad to see you posting, hope the studies are going well! How creative – so cute . Tasnim, this card is fabulous! I really love how you’ve used the washi tape – definitely creative in every way! 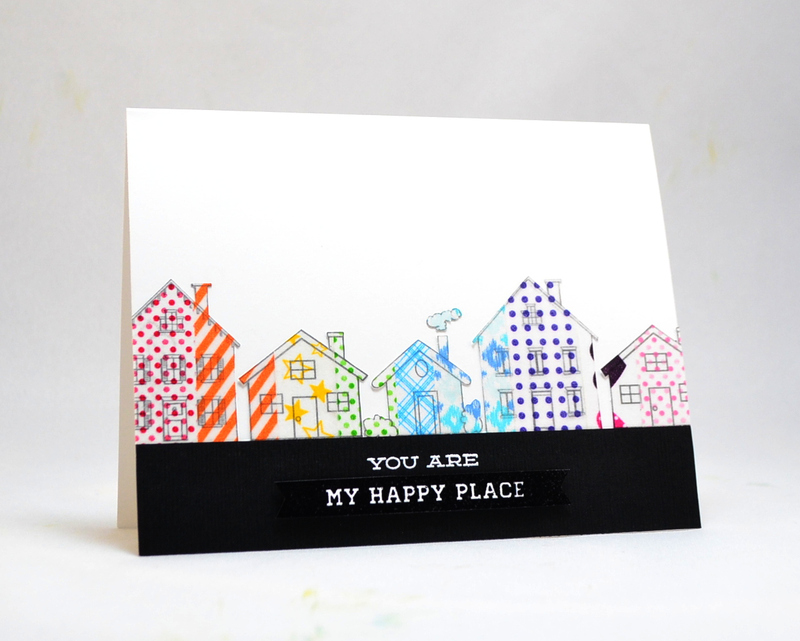 I love how you have the black sentiment strip with the rainbow row of houses sitting on top. And I just noticed you highlighted my card, too! Thank-you! This is fantastic, Tasnim! You really came up with a totally creative way of using washi and I love how they pop off the black panel. I smell a winner! Your resourcefulness always impresses me. Sweet card! This is so well thought out and executed – love the rainbow colors of your washi tape! Very clever and creative; after looking at about 1/2 the entries, I must say yours is the most original. Nicely done. So cool! Love how you used the washi tape! best use of washi tape i’ve seen yet! The translucent effect that you’ve achieved is brilliant Tasnim! What a fun card!!! This such an original use of washi tape Tasnim. Your card is gorgeous. Brilliant. Gorgeous. Amazing. Fantastic! I hope this one’s a winner! 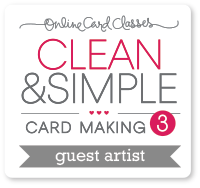 This is the first time I’ve come across your blog and I love your style – what a fabulous, creative idea for a CAS card! What a bright, happy card! Love how you used the washi tape- beautiful! Oh my, Tasnim!! Absolutely, positively, madly in love with your rainbow washi neighborhood!!! Great idea, and so different! Woohoo! Congrats on your Moxie Fab win! I love love this, Tasnim! Well-deserved win! Yay!! Congrats!! I loved the houses here! I absolutely love your card. Such a great and clever idea. Congratulations on your Moxie Fab win Tasnim! It’s so well deserved, I really adore this card! This card is brilliant! So effective to layer over the stamping! I also love the use of the black border with white sentiment. Thanks for your sweet comment on my blog. This is the most creative way of using washi tape. Congratulations on your win over at the Moxie Fab challenge. This is a fabulous card! Congrats on winning! Thanks so much for sharing the process!! Congratulations on your Moxie Fab win! I LOVE how you used washi tape on the houses–so charming!